Honda Motorcycle and Scooter India Pvt. Ltd. has rolled out the latest 360 degree campaign – ‘Bade Kaam Ki CLIQ’ for new Honda CLIQ. Developed by TBWA India, the campaign is on air across all popular channels. Taking a leap and accelerating the pace of ‘scooterization’ in the country, Honda introduced CLIQ in the market in June 2017, with an aim to cater to the growing demand from the tier 2 and 3 cities in India. Honda CLIQ is smartly designed to maximize utility with additional value of comfort and convenience for utilitarian customers. The objective of the campaign is to establish Honda CLIQ as a utility vehicle with tagline of ‘Bade Kaam ki CLIQ’. Taking forward the scooterisation to tier 2 & 3 towns. 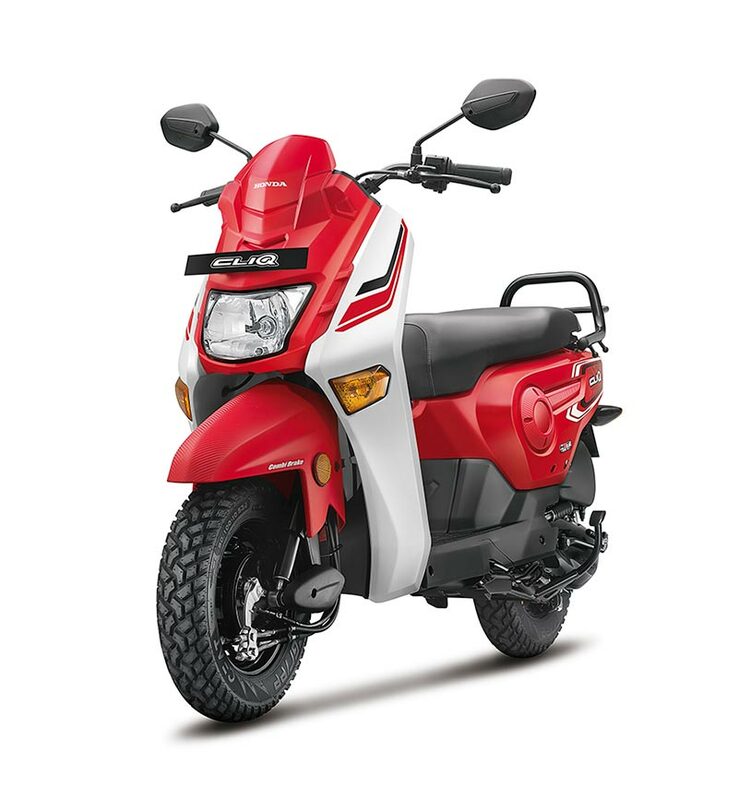 Taking the thought of “Bade Kaam ki CLIQ” forward and targeting rural-urban India for whom value for money holds the highest importance, who look for a practical and convenient 2Wheeler in the 100-110cc segment. The campaign took inspiration from some real stories of small town. India’s growth potential is a topic of discussion in every country today, but this growth story is only possible because of one big asset – the emerging Indian who pushes forward every day and fulfils his duties in the hope of climbing up the social ladder. One common trait is their progressive mind set & they never consider their work any less important than that of others around them. 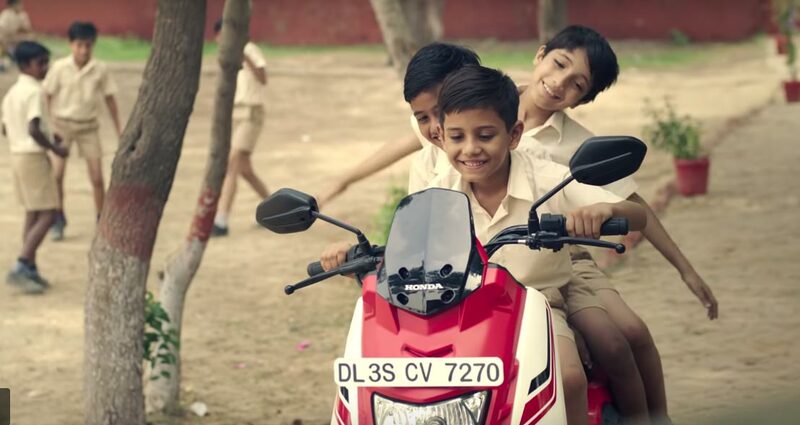 Therefore, this campaign evokes a sense of pride in emerging India, which pushes the people to move ahead, while beautifully placing Honda CLIQ as the enabler through their journey to success. The campaign “Bade Kaam ki CLIQ” focuses on a young IT technician named Bunty who aspires to do bigger things in his life. Bunty is a clear depiction of India’s growth partner who take pride in what they do for others and make a difference to their community. They are the real people of India who push India forward every day. The film’s start shows Bunty, who seems to be very popular in his neighbourhood leaving his shop on Honda CLIQ. He rides in to the by lanes of the town and stops at a shop where a guy places parcel on the rear load carrier. Bunty continues his journey from cityscape to now a semi urban area where he is seen riding on rough and patchy roads filled with slush. Bunty finally reaches ‘Vidya Niketan School’ and surprises a classroom full of children. The headmaster welcomes him. The students get excited when Bunty unpacks the parcel and takes out a projector and laptop to show them an educational film. CLIQ is a perfect blend of Practicality, Versatility and value for money. Breaking the price barrier of automatic transmission on two wheels, CLIQ is emerging in the consideration of traditional mind set of the rural motorcycle buyers. Honda as an automatic scooter leader is taking scooterisation to tier 2 & 3 towns and we are happy to partner with them through this campaign. said Amitesh Rao, Executive Director, TBWA\ India. Bunty is a clear depiction of India’s growth partners who are mobile & take pride in what they do for others and make a difference to their community. They are the real people of India who are pushing India forward every day. Client: Honda Motorcycle and Scooter India Pvt. Ltd. Exposure (mediums used): Press, POS, Outdoor etc.